I’ve been dreading this – sitting in front of the keyboard and try to type something together. To be honest, I haven’t felt inspired even though I’ve been thinking about writing, every – single – day. I’m craving some new inspiration & motivations on how I can make this blog even better. Any ideas? Please leave a comment below. Tonight we had our first date night after almost two years (!). A date alone that is, with a babysitter at home, aka my mum, watching our son. We drove 10 minutes to our local cinema and watched Black Panther. I’m usually not enthusiastic about marvel movies, but with this one I just got a good feeling. I’ve also heard that it was received very well by other social media influencers. So if you’re into action, si-fi and a little drama, you should definitely go see this one. Here’s my outfit of the night. 15 minutes before midnight and here I am sitting on the couch writing a recap post. 2017 has been a wild, chill, amazing, heartwarming, difficult and hard – and once again I’m taking a look back at the past year. Last Day of 2016 – I ended and started the year with my mum, highly pregnant, walking around trying to catch the fireworks at 12. It was a lot like today, cloudy and roads covered in snow. We actually didn’t find a good spot to look at the fireworks, but we did see some. And after a short, but tiring walk I made my way home to my bed. 15th of January – The most amazing, heartwarming, incredible day of my life, and of 2017. I gave birth to my baby boy. He’s soon turning 1, and I can’t believe how I found the strength to push him out without any medication or drugs. This was hands down my proudest moment & the highlight of my year! Surprise Birthday Party for 2 – Surprised my mum at home with a clean house and her favorite cake. I stayed and celebrated her belated birthday whilst we ate carrot cake and she opened presents. 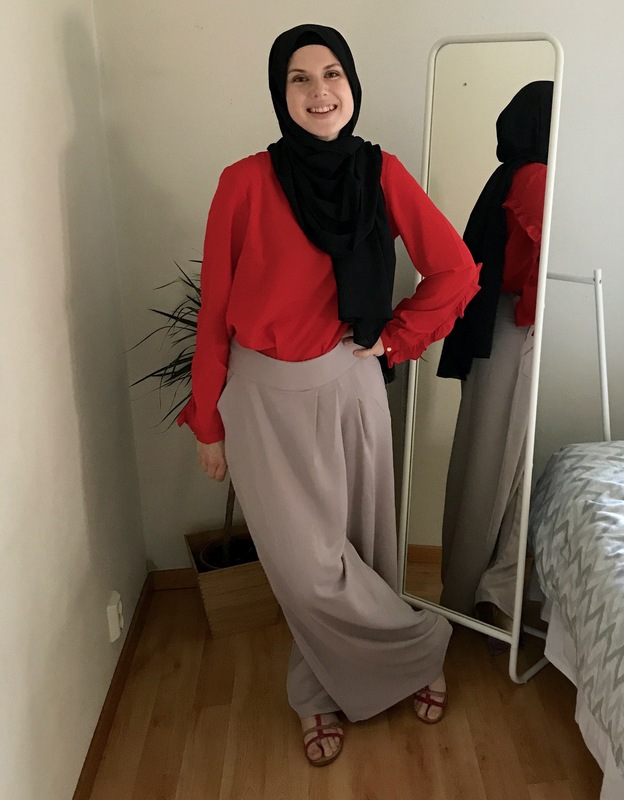 Summer 2017 – First summer i tried wearing the hijab, and it was a success! Not as hard as I thought it would be. 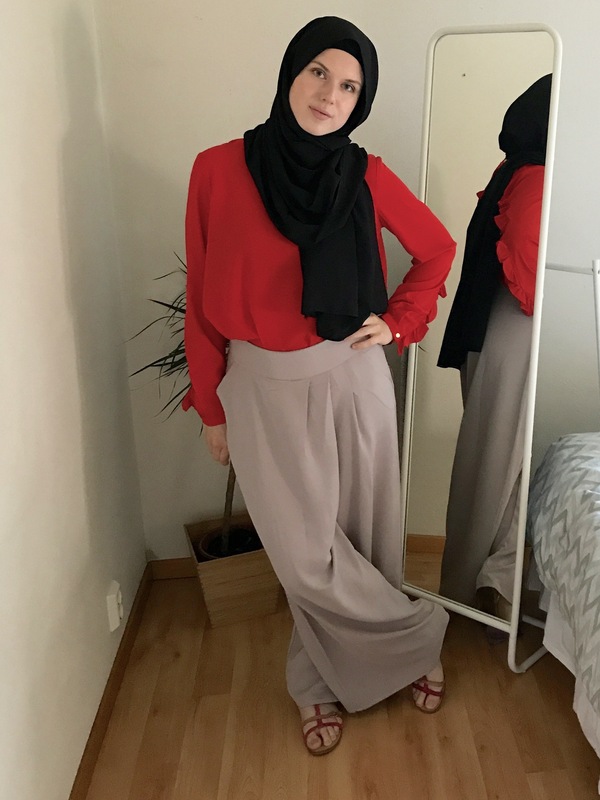 Abayas became my new best friend and light chiffon scarfs as well. 22nd Birthday – I gave birth at 21, but 7 months later I turned 22. If you haven’t seen it you can watch my «22 things I’ve learned the last 22 years». 2 Year Anniversary – This day lies close to my heart because it’s the day I said my shahada. Nervous and anxious, but the best decision I have made. Roadtrip to Gothenburg – I was eager to travel the whole year, and finally at the last end of November we decided to take a roadtrip – my mum, my son and I. We had a wonderful stay in Gothenburg, spending most of our time at Liseberg, Universum and in the car, of course. First day back at work – After 46 weeks at home I had to say goodbye to my baby boy, at least for a couple of hours, and go back to work. After a couple of days and haircuts, I was back into the old routines. Dinner with the fam – 23rd of December, a day before Christmas Eve here in Scandinavia, we all meet up at my brothers apartment and had a wonderful homemade buffet and played games long over midnight. Last day of 2017 – Today I continued packing for tomorrow, and also meet up with my mum yet again for a New Years Eve dinner with my son. Now 1 year later he could join us and it was a full circle experience. A new year is on it’s way, and this year we get 366 days of creating and writing our story! 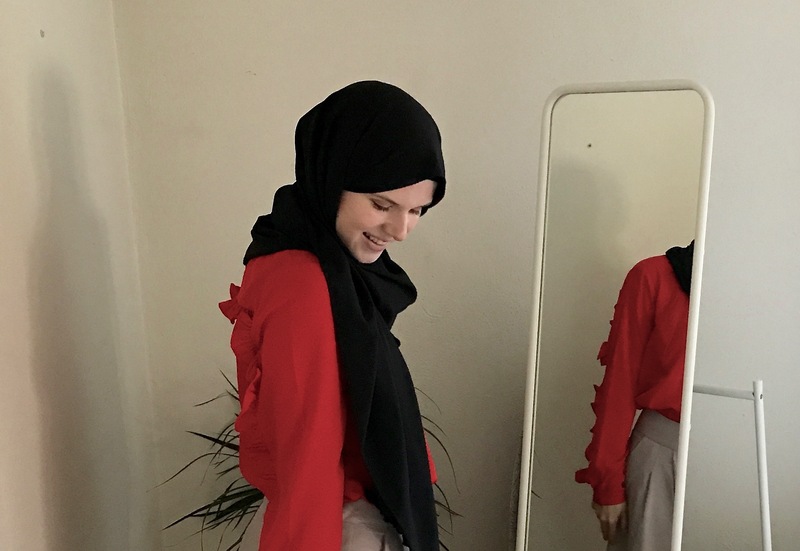 So I just got a comment on YouTube where someone told me that I don’t dress appropriately for being a muslim and that it is not the way that Prophet Muhammad (saw – peace be upon him) said women should dress. I immediately felt attacked and after thinking twice about it I ended up deleting the comment. But here I am 5 minutes later thinking about it. That’s the thing though – it may be gone from my platform it’s still in my life. I understand the need to comment and let people know what is right and what is wrong, but on the other hand it’s not always your place. 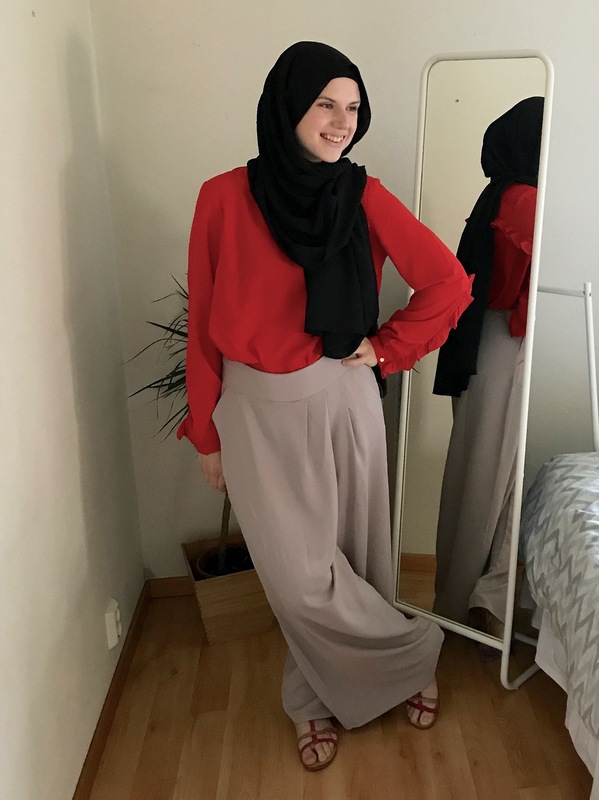 You might think it’s your responsibility, but you have no idea how hard it is for me to not only put on the hijab but to dress modestly all together. It wasn’t before a couple of months ago that I started slowly to cover my hair. And there was no other reason than for Allah (God). 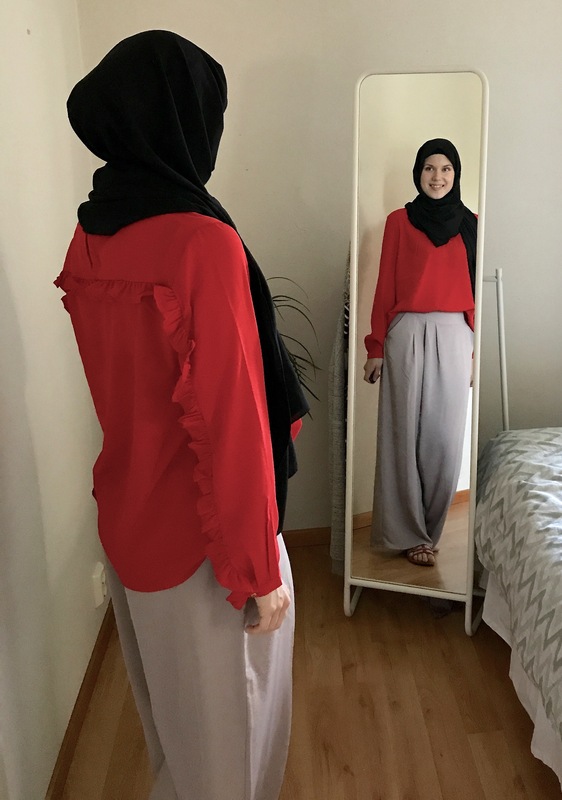 You may be raised in a muslim community or family and it might be second nature to cover all together and only where the jilbab or abaya & hijab. But for me, someone who is raised in a non-muslim family in the west, who just recently converted, it’s not easy. I have struggled so much with it to the point where I didn’t want to come near it. And you telling me that my effort is not enough is not your place. Please think twice before you think to comment on a subject that is essentially between me and my God. At the end of the day He knows my effort and what is in my heart, and that’s all that counts. At the moment I’m sending out my resume, in deep search for a new job. When I started high school, at 16 years old, I never imagined becoming a hairdresser. I actually wanted to go design & textile and then major in sewing and designing clothes. I can’t say I regret my decision, because having a high demanded job which I can apply anywhere in the world is great. But I can’t see myself in this business for the rest of my life. I can’t see myself at my workplace because I don’t see a future there. Maybe I’m wrong, but I don’t believe I can grow into a higher position there. Life’s too short not to be doing what you love. And it’s time to implement what I say into actions. These pictures were taken a while back when I filmed my autumn try on haul (link). 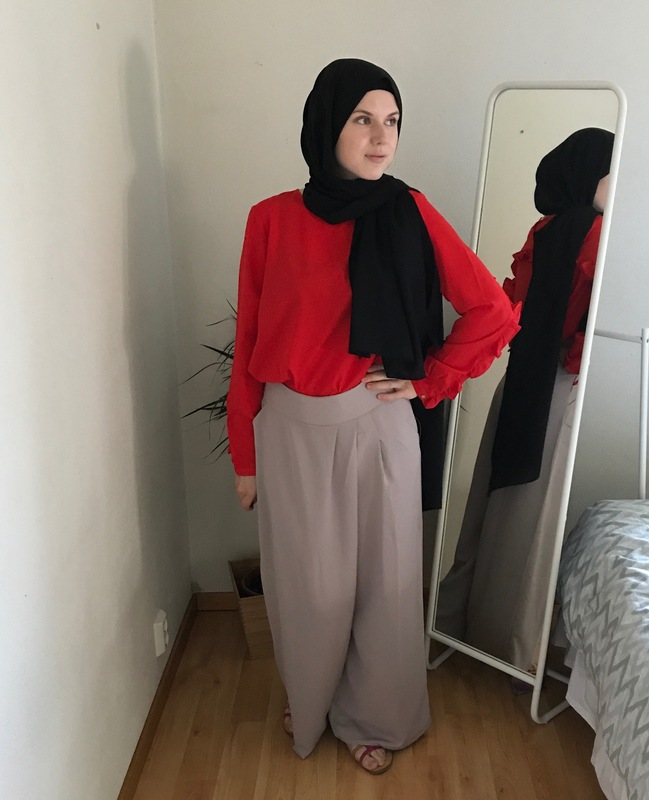 Though I won’t be wearing light pink pants anymore – I do have the same pants in a dark burgundy color which is so perfect for this time a year. I just love snuggling up in cozy jumpers and this has absolute been my favorite the last couple of days. This was taken a couple of days back when we were out for a early (late) walk. It was actually before 12 o’clock which meant not too many people on the streets. So I made sure to take out my camera, set it up on the stroller and do a little photo shoot. Before I forget there will be a new video up on my YouTube channel today at 14 pm. I’ll be taking a look at my old diaries and reading some of the stories from way back in the days. I definitely need to find some new outfit locations because my house is running out of space. Luckily I did manage to pull this off with my phone hanging on a tripod attached to the crib and with a timer in my hand I had my own little photoshoot. I’m already on my second cup of coffee which I usually never drink but today it’s absolutely nesaccary. With only 8 hours of interrupted sleep and a nap where I couldn’t even snooze off for two minutes, it’s safe to say I’m very tired. My body is so stiff and I feel this heavy weight on my shoulders. Probably a mix of stress, too little sleep and in much need of a long massage. Having a 7 month baby is so much more work then what it was four months ago. I love every minute spent with my son, but I feel like I’m running on my last battery here. When and how I will be able to recharge will only be shown in the future. For now I wanted to share my outfit pictures I took the other day.